Motorola recently launched the Moto Z2 Play for $499 (approx. Rs. 32,100). 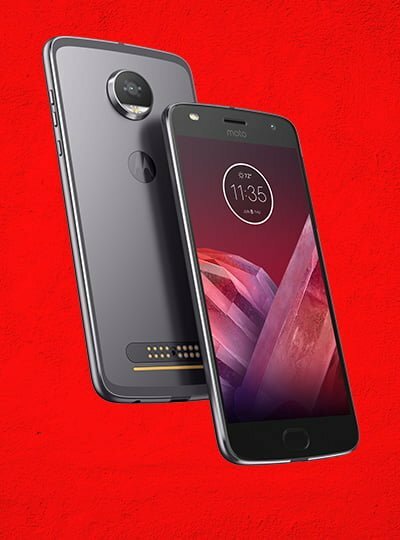 Before the launch of Z2 Play, Motorola was touting a smartphone launch in India as #Smarterphone, and the company on its Twitter handle has now confirmed that the phone is the Moto Z2 Play. The device will be available for pre-orders from June 8, but the company did not reveal the price. Furthermore, various offline retailers across the country already started displaying boardings of the phone saying that it would be available to pre-order from June 8. That said, the Z2 Play will be available in both the offline and online stores. Also, Motorola India has created a separate website for displaying the offline stores where the phone would be available along with a sneak peak of launch offers. Aforementioned, the Moto Z2 Play was announced at the Computex 2017 event in Taipei, and the device may launch on June 8 in India, and the pricing details may be unveiled on the same day itself. The device has decent specifications on board, but the overall package is a mere disappointment when compared to last year’s Moto Z Play. Here are the complete specifications of the Moto Z2 Play. Unlike the Moto Z Play which measures 6.9mm in thickness (minus the camera bump), the Moto Z2 Play measures just 5.9mm in thickness because Motorola is looking to make the device premium That said, the overall design of the phone remains same with the same camera bump and magnetic pins at the back. The device looks slightly different from the front though- it has the Moto G5 design language from the front. Motorola has used the same 5.5-inch display on the phone with the same 1080p resolution, which is a 2.5D curved glass and protected by Corning Gorilla Glass on top. If we compare the chipset used in the Moto Z2 Play, we will be utterly disappointed. 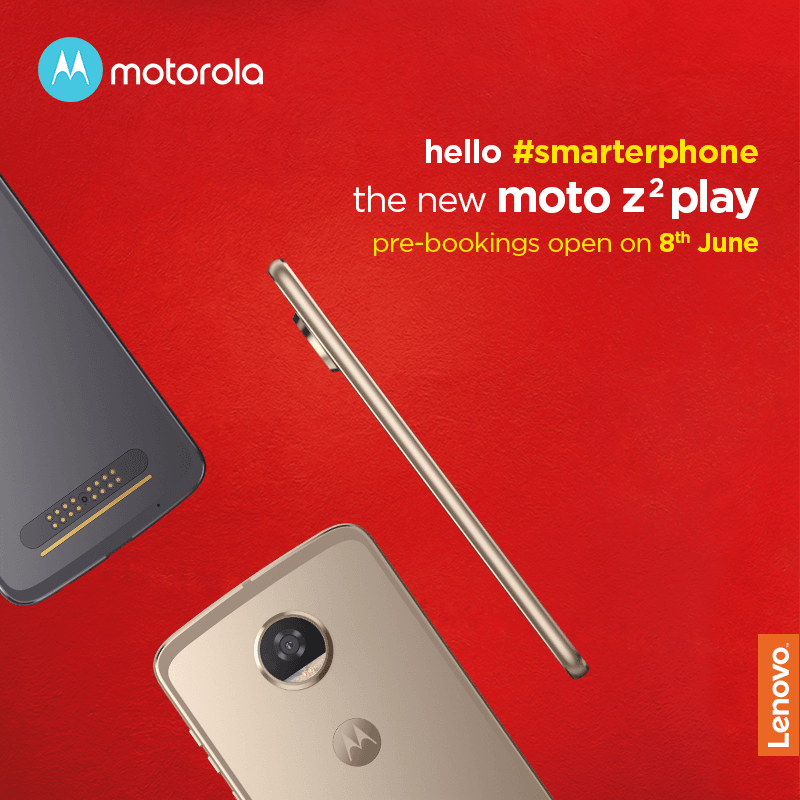 The Z2 Play is powered by the Qualcomm Snapdragon 626 chip, clubbed with 4GB of RAM and 64GB of internal storage. The phone also comes with 3GB of RAM and 32GB of storage option, but it may not launch in India. The graphics in the phone will be taken care by the Adreno 506 GPU. Connectivity options in the device include 4G LTE, VoLTE, Wi-Fi 802.11/b/g/n/ac, Bluetooth 4.2, GPS, and USB Type-C port. The phone also comes with support for NFC. The Moto Z2 Play uses the same 12MP sensor as the Moto G5 Plus with larger f/1.7 aperture, laser autofocus technology, dual LED flash. The sensor is 1.4 µm pixel size, and there are features such as geo-tagging, touch focus, face detection, panorama, and auto HDR. The rear camera is capable of recording 1080p videos. The front-facing camera in the phone is of 5MP, which also has support for f/2.0 aperture and dual-tone LED flash. The major letdown of the Moto Z2 Play is the battery capacity because it comes with a 3000mAh unit, rather than the 3510mAh unit seen on the Moto Z Play. It’s interesting to see how the battery in the Moto Z2 Play fares because the Z Play was the best battery smartphone of 2016. As of now, there are no words on the pricing from Motorola, but with a steep international price, the phone might get a price tag of around Rs. 28,999 in India. But again, this is just our estimation. Also, the device would be available to purchase later this month. More details on the phone will be released on the launch day itself. Moto Z2 Play looks very good. The previews of the device are very positive.